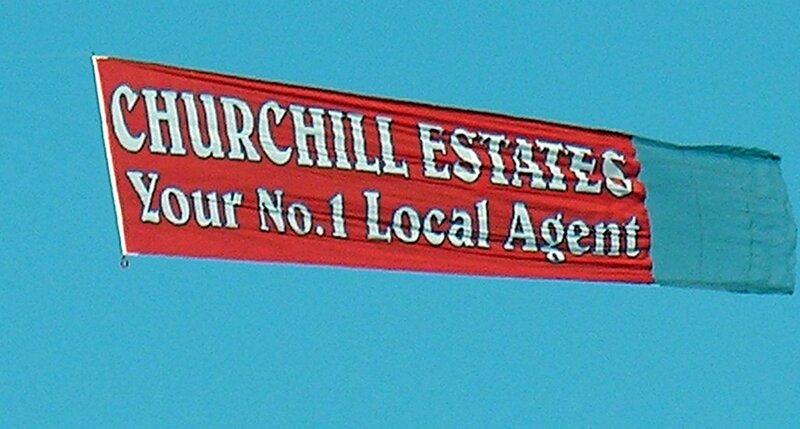 First look at the banner regularly flying over East London for Churchill Estates. Very bright and visible from a very long way. 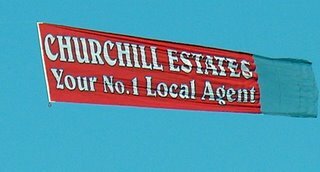 I think we'll remember last month as "Awful August", more banners cancelled due to bad weather, including "Glorious Goodwood" than I can recall. A dramatic contrast with a record-breaking July!